Let’s make it clear from the get-go: this is one of the best, possibly the best, production I have seen in the last six months. 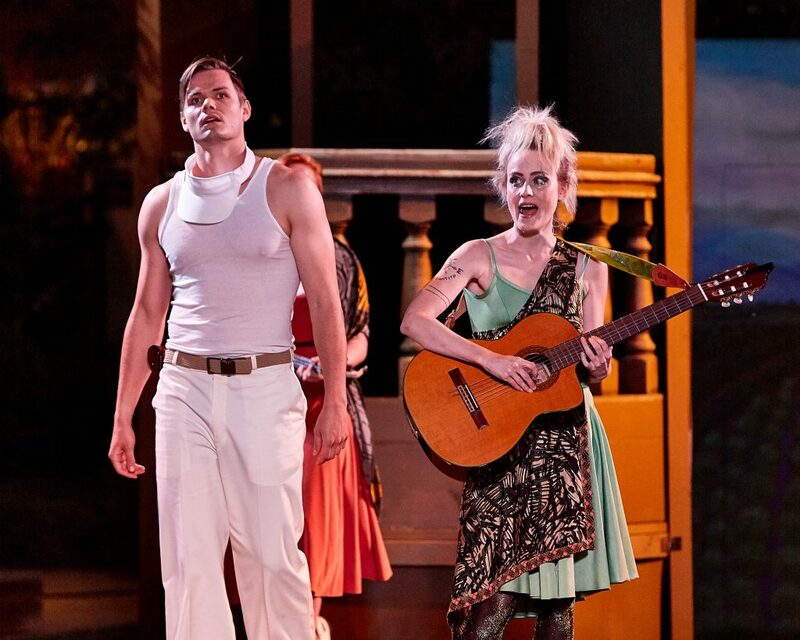 “Midsummer” shows us three classes: the upper crust, working craftsmen, and magical beings. 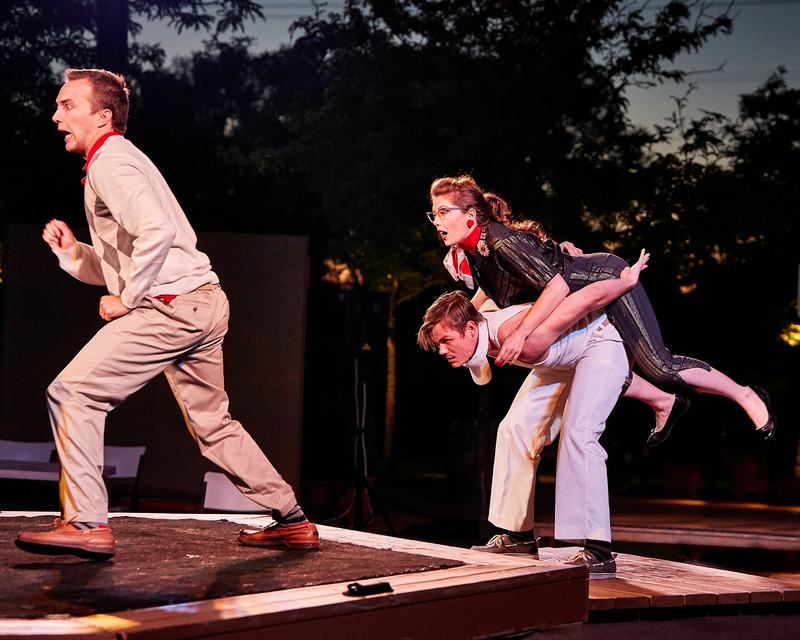 All of them bump heads in this sly, friendly, and funny version of Shakespeare’s “A Midsummer Night’s Dream.” Under the direction of Gary Armagnac, a superb cast shines at the Livermore Shakespeare Festival’s “Midsummer,” set in the 1950s. An elite couple, stylishly dressed in black and white, discuss their upcoming wedding. He, Theseus (charmer David Everett Moore), Duke of Athens, excitedly plans. She, Hippolyta (regal Mary Ann Rogers), late of the Amazons, clearly would rather be somewhere else, probably with her sisters in that island in the “Wonder Woman” movie. Egeus, an upset father, barges in, demanding that his daughter, Hermia (sweet Deborah Lagin), follow his command. Egeus wants Hermia to marry his choice, Demetrius (straight-laced Justin Edward Keim). But gentle Hermia loves Lysander (easy on the eyes Oliver Shirley). She knows Demetrius has other options; he was recently engaged to Helena (ardent Lily Narbonne). Hermia and Lysander decide to meet in the woods and elope. Helena finds out, rats out the lovers to Demetrius; and ambushes the lovers. Such are the soap opera problems of two upper class young couples. Meanwhile, a handful of village workers, the “mechanicals”—carpenter, weaver, bellows mender, tinker, joiner, tailor (the folks who make the world possible for the elite)—are also planning to meet in the woods. They start rehearsing a play for the Duke’s wedding, to compete for the prize money—show business in the woods. These woods are home to marvelous fairies in delightful punk and goth array. They have such fun, we want to join them. But they serve the demanding King and Queen of Fairies, Oberon and Titania, who are fighting a bitter custody battle. Things are tense among the magical folk. 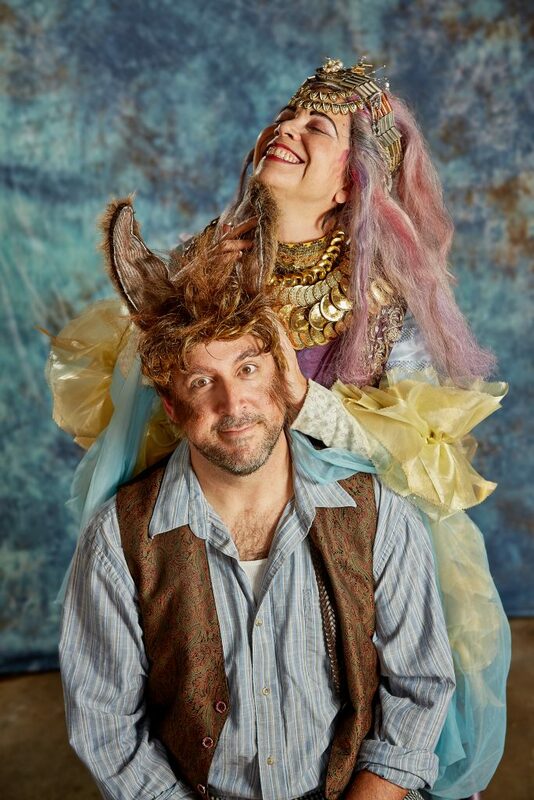 Oberon’s servant Puck (laid-back Paul Barrois) also dresses up, but with a Romany twist. His nonchalant manner suggests he’s a Slacker, a fan of The Dude. Paul Barrois’ carefree Puck is bewitching: I could not take my eyes off him. Oberon and Puck are friends and their comic timing is impressive. Oberon, the Fairy King, takes an interest in the two sets of young lovers roaming his woods. He decides to solve their love problems, and his own feud with Titania, by magical mischief making. The play depends on a competent Bottom, who turns into a magical jackass, and Russell Marcel knocks it out of the park. Aleah Zimmer is delightful as the First Fairy. Lily Narbonne is impressive whenever she’s on. Every actor does a stellar job. Each “mechanical” captures the stage, individually, as does each fairy. The young lovers and the royal couple are always compelling. Livermore Shakes takes pains to be perfect. Strong acting endows each mortal or fairy with a unique, unforgettable personality. 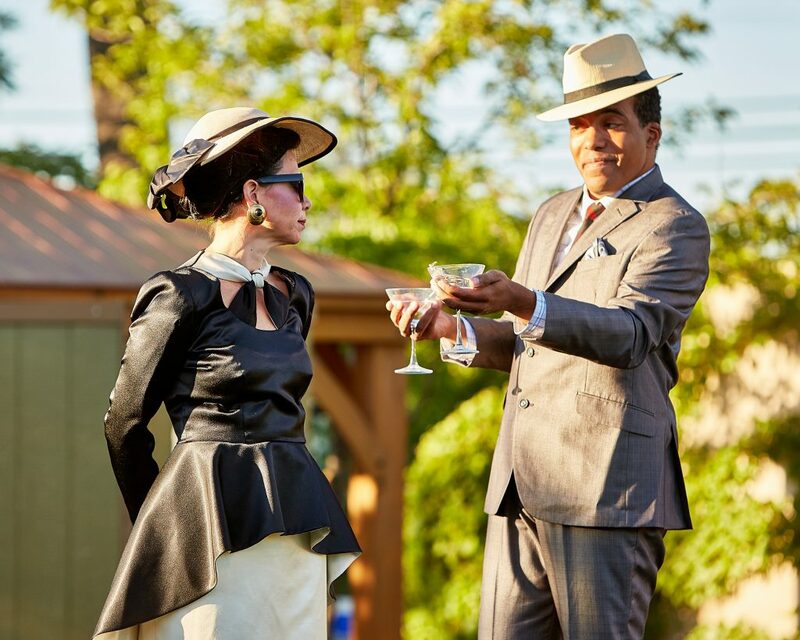 Set outdoors in the beautiful Wente Vineyards, “Midsummer” plays in the round on a traditional bare stage. Their “Midsummer” offers music by the Fairies with voice, guitar, uke, and violin, including Bobby Darin’s “Dream Lover.” For dance, we enjoy a short, impressive ballet by Fairy Cobweb (Sally Virgilio). 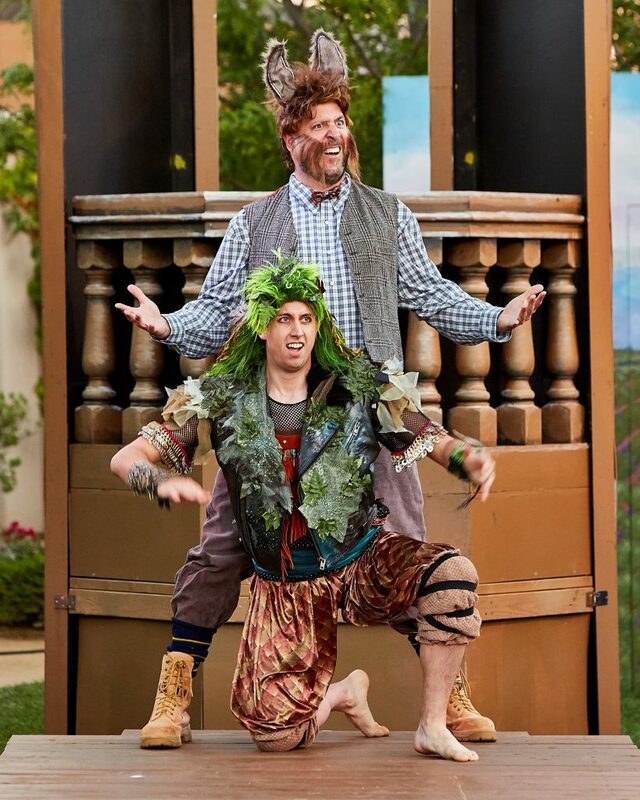 Livermore Shakespeare Festival worked all school year with second graders in a literacy program where the kids studied “A Midsummer Night’s Dream.” Just before the play started, any students in attendance were asked to identify themselves. A dozen were present. We in the audience were advised to seek these experts out at intermission if we had trouble understanding any part of the play. Barrois as Puck carefully noted where the kids sat. Once he asked one of the kids to hold his popcorn while he went off on Oberon’s bidding; another time he asked a youngster to remind him which person was supposed to be drugged with the magic flower. Unrehearsed, it works each time, blending with the action onstage. I have seen so many productions of this popular play that I decided to take a break for a few years. I am happy that I broke my fast with Livermore’s “Midsummer.” I had a great time. Cast: Paul Barrois, Luke Bolle, Kyle Goldman, Kai Hynes, Peter Ray Juarez, Hannah Keihl, Justin Edward Keim, Deborah Lagin, Andre Lea Martzipan, Russell Marcel, David Everett Moore, Kyra Munker, Natalya Ribovich, Lily Narbonne, Mary Ann Rodgers, Oliver Shirley, Sally Virgilio, and Aleah Zimmer.